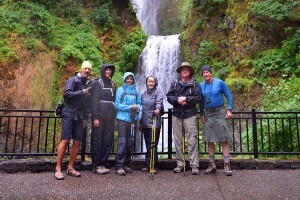 Bridal Veil Falls State Park, a must-see stop on Oregon’s Columbia Gorge, offers spectacular vistas, picnicking, and two hiking trails, all easily accessible from historic Columbia River Scenic Highway. 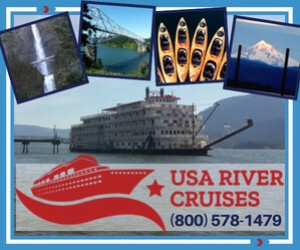 Located off I-84 east of Portland, via Exit 28 to the Columbia River Highway. Day-use park features parking, picnicking, hiking, and viewpoints. See spectacular views of the Falls, Pillars of Hercules, and Cape Horn from two short hiking trails. 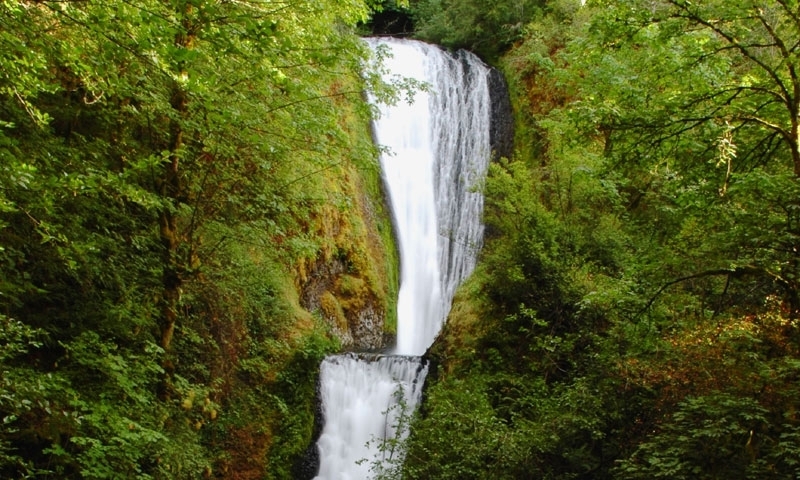 Lovely Bridal Veil Falls, a two-tiered falls on Bridal Veil Creek, is headed on Larch Mountain above the Columbia River Gorge in Oregon. Bridal Veil Falls State Park surrounds the falls, with a nice parking area, picnic tables, hiking trails, and viewpoints. The area is worth a visit and admission is free. Take I-84 east out of Portland to Exit 28; go west on Columbia River Highway about ¾ mile to the park entrance near milepost 28. The highway travels directly over the falls on a bridge. The park is day-use only. For more information, call 1-800-551-6949 or visit this site. To enjoy the magnificent views, two trails are available: an upper trail around the cliff rim or a lower trail to the base of the falls. The upper Bridal Veil Loop takes visitors around the bluff on about a mile of paved all-access trail. Signs outline the area’s history and point out native plant life, like the delicate April-blooming camas lily, along the way. Sights on the loop include a famous 120-foot basalt formation known as the Pillars of Hercules and an excellent view of Cape Horn across the Columbia River in Washington. The lower trail heads from the east end of the parking lot downhill to the base of the falls. The trail is short—just about half a mile—but ends in steep gravel switchbacks and is not wheelchair accessible. A canyon staircase leads to an arched wooden bridge and viewpoint structure (read the many hearts and initials carved in the platform’s log handrails). Bridal Veil Falls itself cascades in two tiers, the upper falls dropping 60-100 feet and the lower 40-60 feet. Around the parking lot lie grassy areas with tables where you can rest or enjoy a picnic, with restrooms nearby. One of Oregon’s first paper mills was built on Bridal Veil Creek in the 1880s, and a lumber mill diverted the waterway for nearly 50 years until the mill was mostly destroyed by fire in 1936. The company closed its doors for good in 1960, and Bridal Veil Falls returned.